The PERFECT first Restorative workshop! We work very hard in our lives, and while we may sleep, we rarely take time to rest. 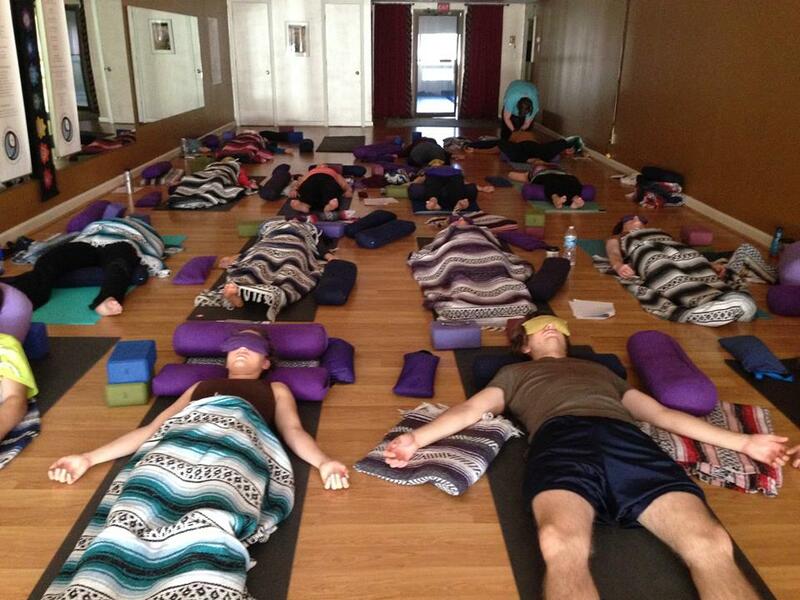 Restorative yoga poses help us learn to relax and rest deeply and completely. During deep relaxation, all the organ systems and energy systems of the body are benefited. Come and relax while at the same time opening, balancing, and awakening your chakras, the energy systems in your body. Expect the body to become more relaxed than you could ever imagine. Restorative yoga is a great supplement to any other exercise routine or just a chance to enjoy receiving the gift of yoga. Relax. Renew. Restore. Rediscover. Laurie is an RYT-200 registered with Yoga Alliance.